The Fenix SL is our premium All-Round Endurance platform. 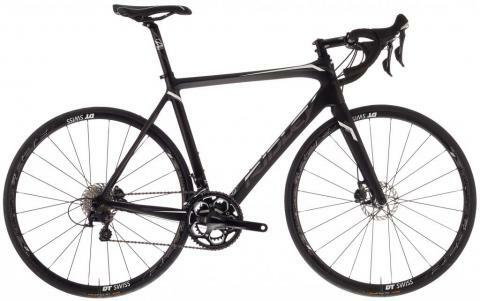 We wanted this bike to be a truly reliable partner in all your cycling endeavors. It had to be a lightweight, performance oriented machine because we know you like to go fast but it also had to be comfortable and stable, offering best handling in all riding conditions during long days in the saddle. This “true world riding” approach is a part of our DNA, with famous races like the “Tour of Flanders” in our backyard. The Fenix Disc is based on the popular Fenix. It shares many of the Allround-Endurance design features but adds another level of versatility by offering disc brakes, expanding possibilities and pushing bounderies. It makes no compromises, offering aggressive race bike handling and powerful stopping power in a bike that lasts as long as you dare. The rear triangle is slightly longer to offer more stability on rough terrain and to make it possible to use 28mm tires. The full internal cablerouting not only looks clean but also improves aerodynamics. The Liz is a women's bike that features a frame and fork manufactured from 7005 triple butted aluminum. It has been especially designed for women and uses women's specific geometry, with a shorter top tube and taller head tube, for a more balanced riding position. The oversized sharp edge tubing ensures a high level of stiffness and is extremely strong in all areas and specially developed flex areas in the seat and chain stays absorb vibrations from the road to give the rider the right amount of comfort. 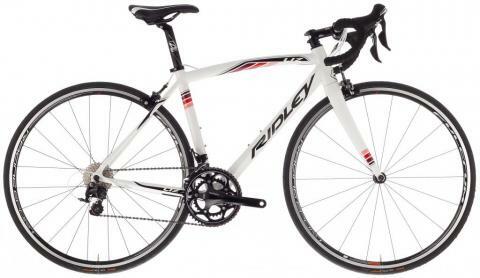 The Ridley Fenix is about the closest you'll find to a "do-it-all" bike on the market. The Fenix is designed to deliver both comfort and performance to cyclists of all ability levels. Engineered to tame the Pave of northern France and Flanders, the Fenix line was designed to meet the needs of the Pro Tour Lotto-Belisol team. 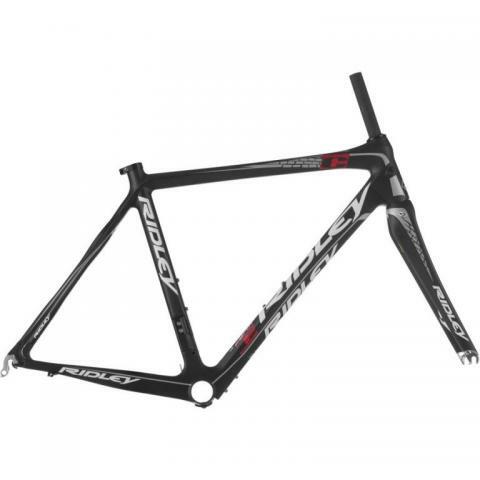 While the pro guys ride the carbon version, the alloy model is built using the same lessons-learned, quality, and toughess as the pro-level carbon version. The result is a that can withstand 160 miles of brutal cobbles without wearing out the riders. While aerodynamics are impressive, especially in the likes of Ridley's Noah Fast, sometimes the roads you ride require comfort to be first and foremost. A stiff frame is important, but the ability to dampen road vibration keeps two wheels firmly on the ground, creating stability and responsiveness. And it saves your body from the never-ending jarring. 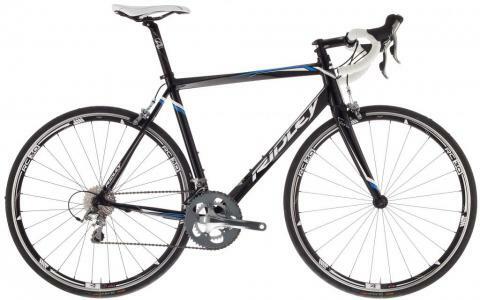 Designs cues from the Ridley Noah, the 2014 Ridley Noah RS frameset offers FAST technology at a lower pricepoint with its patented F-Split fork & F-Surface for best in class aerodynamic performance. 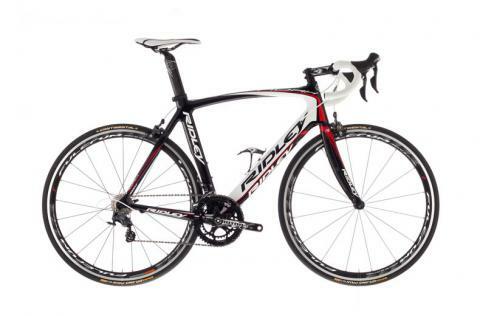 It is packaged with an Aero seatpost which is aerodynamic against the wind but adjustable for easier transport & adjustments. 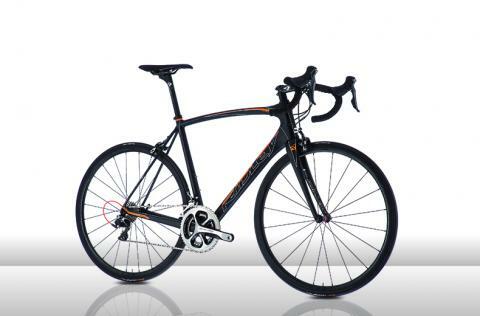 Internal cable routing which is aerodynamic and clean design plus mechanical or electronic shifting routing ready. Proprietary blend of 40T, 30T, 24T unidirectional carbon fiber for a perfect ride.